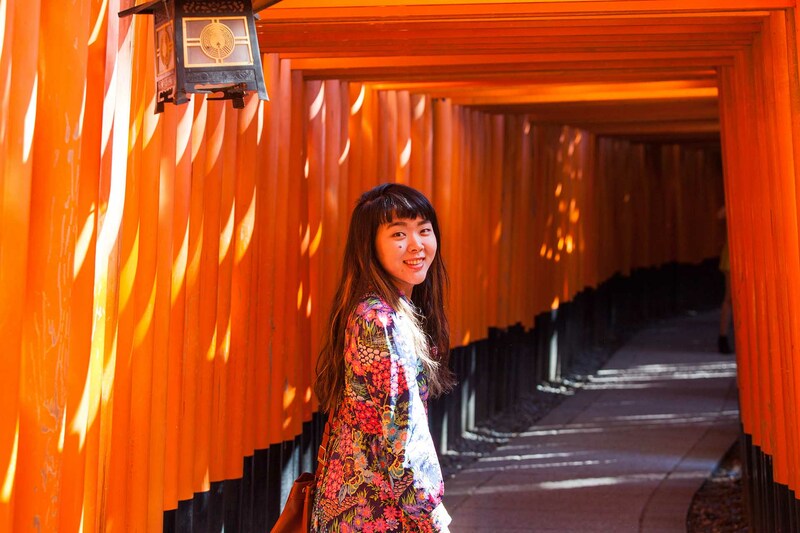 Japan is a stunning place with a rich culture, history and of course amazing ski resorts, but it can be daunting for first-time visitors. 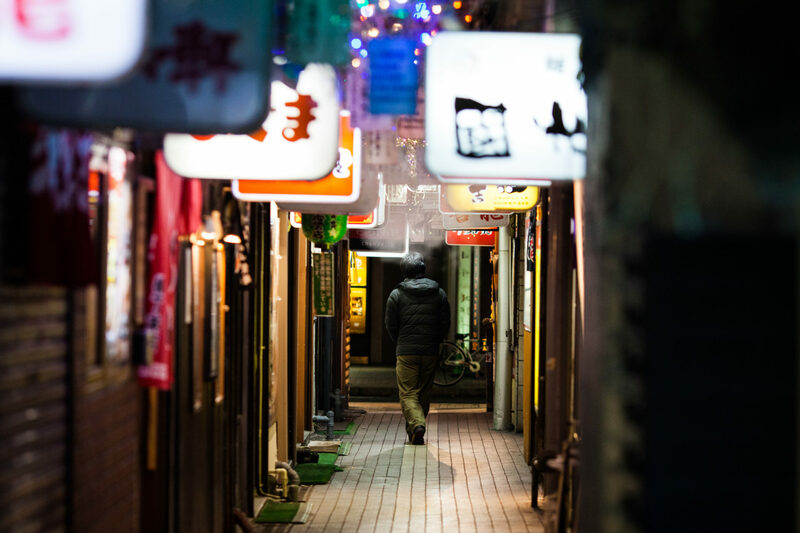 Don’t worry, because we’re here to share our top tips and handy hints to get you through Japan like a pro. These are just a few of our top tips, and our team has even more great advice and info to make sure you have the best trip ever. Contact us today for the best deals and service. One of the biggest question visitors ask is “how can I move my luggage around?” Well, Japan is the land of convenience, and there are a range of luggage transport and storage services available. The main one is called “Yamato Transport”, also commonly known as “Taku-Bin”, and “Black Cat” named for their mascot which is a black cat. 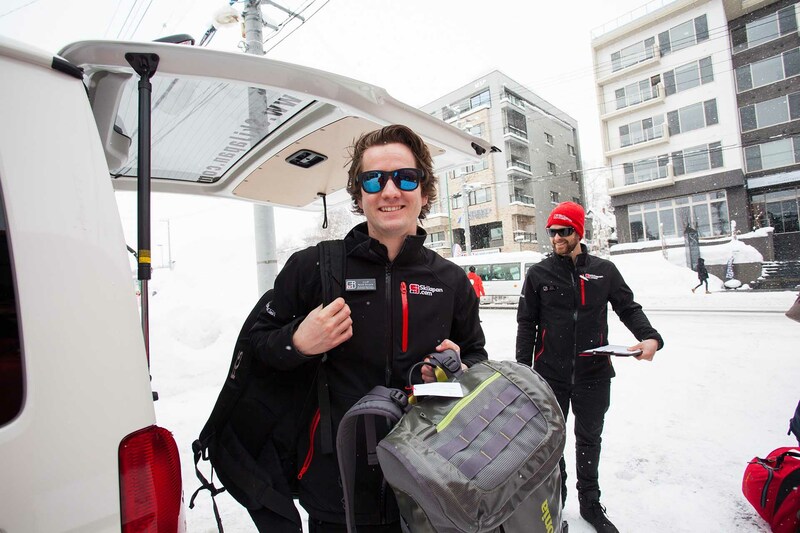 With this service, you can send your ski bags or luggage anywhere in Japan from almost any convenience store, luggage office at airports, or hotel desk. 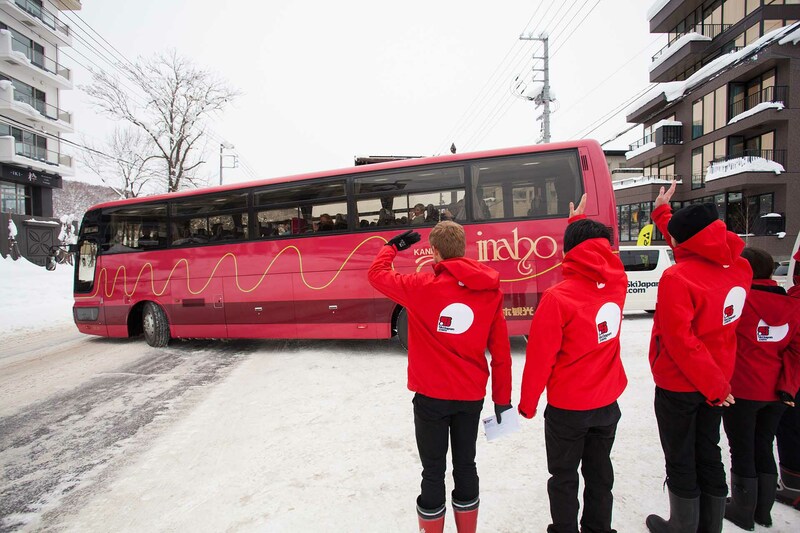 The service usually costs around ¥2,500 per ski bag, and less for regular luggage. It’s perfect if you’re going to stay a few days in a major city as part of a stopover, and don’t want the hassle of lugging around skis and boots through the city to a resort like Hakuba. There’s so much food in Japan and it’s all so good! Here are some tips to enjoy food just like the locals do. 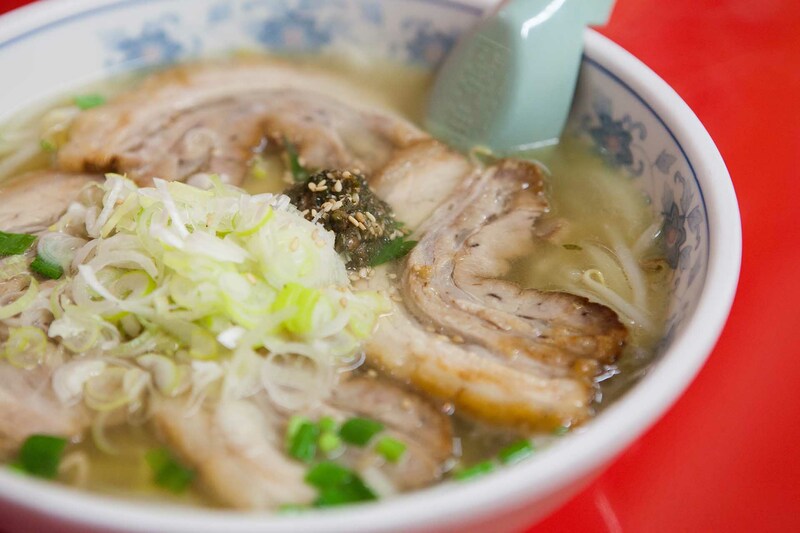 Ramen: Commonly available in three main flavours – miso, soy and salt. They’re all delicious, so don’t worry too much about which one you choose. You’ll get roast pork, noodles and some vegetables. Try to get the noodles onto the large spoon, and then slurp away! It’s not rude or impolite to slurp, it’s just considered the normal way to eat ramen! Sushi & Sashimi: Sashimi is simply very fresh fish that has been sliced into small portions. The price varies per species and cut, with the fattier cuts more prized, more delicious and more expensive. Sushi is when the cut of fish is placed atop a small portion of rice and commonly served with a hint of wasabi. Both sushi and sashimi can be enjoyed with special soy sauce for dipping, but make sure to try it without the sauce first! 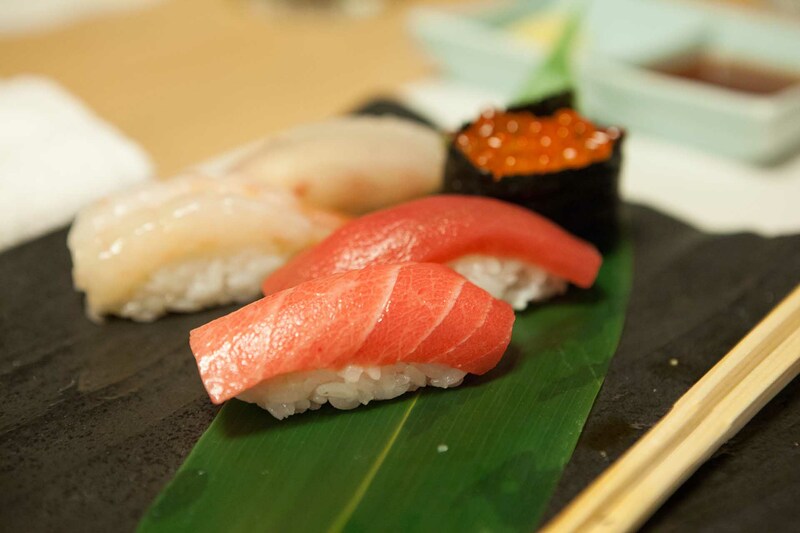 Niseko even hosts some of the best sushi restaurants in Hokkaido. Yaki-Niku: BBQ meat is a favourite, no matter what country you’re from. In Japan, BBQ meat can be found at Yaki Niku restaurants, and are often available in timed sessions where you can eat as much as you want for a certain period of time – only in Japan! 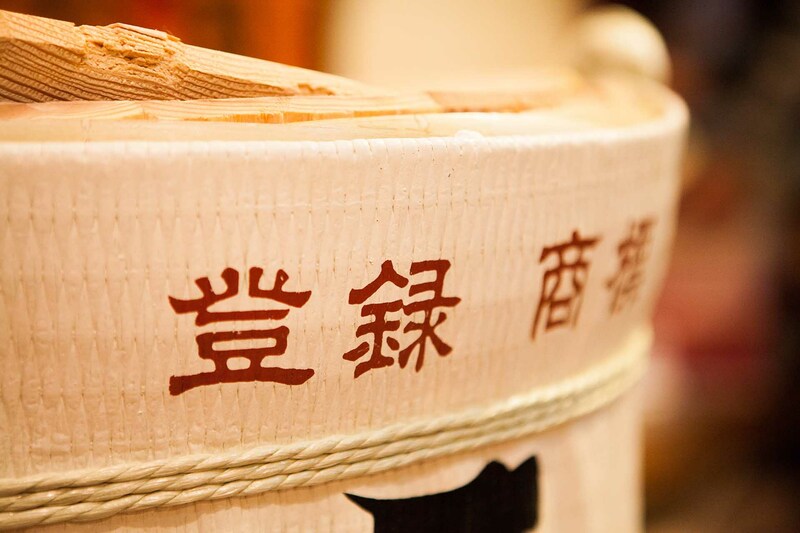 Sake: Sake is undoubtedly Japan’s most famous alcohol, and there are many different varieties available. In the bigger cities there are even dedicated sake bars where you can try sake from different regions, and sample all kinds of different flavours and styles. 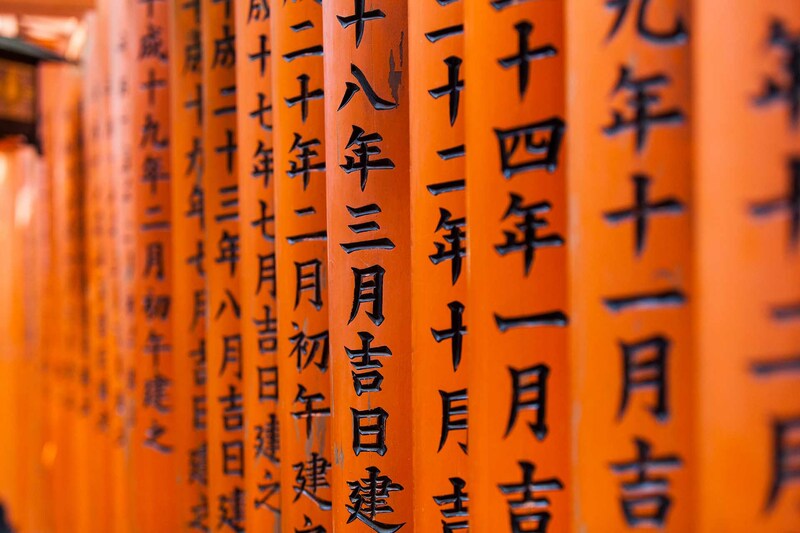 The Japanese language is very difficult to master, and it doesn’t make sense to learn it for a holiday a few weeks a year. 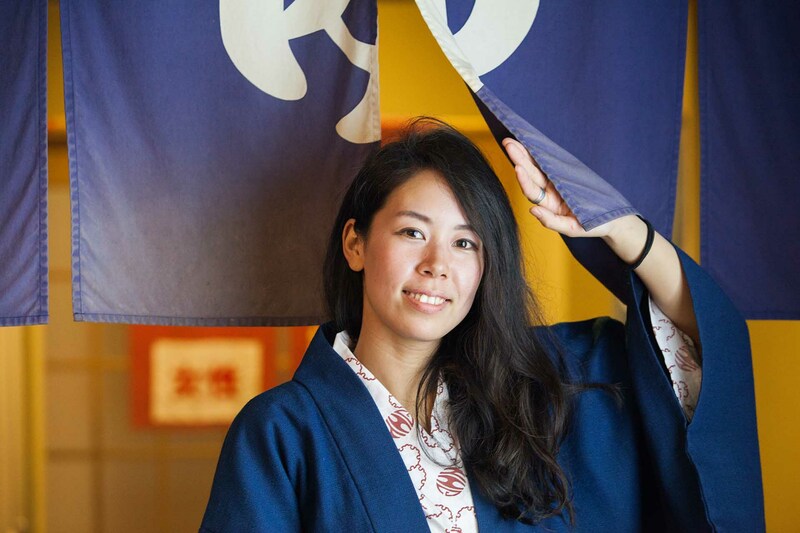 BUT there are some great phrases which every visitor to Japan should know! Arigatou: (Ah-ree-gah-toh) – “Thank you”. Probably the most important word to know in Japan. You can say this at any time you would thank someone. Sumimasen: (Sue-me-ma-sen) – “Excuse me”. If you’re at a restaurant, you can yell this one out to get the servers attention, or if you bump into someone on the street you can say this. Onegaishimasu: (On-ne-guy-she-muss) – “Please”. There are a number of ways to say this, but this one is the most commonly used. You can say this when you order food or for that all important Japanese beer. Daijoubu: (Die-joe-boo) – “It’s alright”. You can say this if you fall down on the snow and people ask if you’re alright, or if you’ve had enough fried chicken for the night. Konnichiwa: (Ko-ni-chi-wa) – “Hello”. You can use this anytime you meet with someone, or even when you check in at your hotel. Mou Ippai: (Mo’-ip-pie) – “One More”. If you’ve finished your drink, or need another plate of sushi, just say this (followed by “please”), and you’ll be served one more of whatever you just pointed at. Sugoi Yuki: (Sue-goy You-key) – “Amazing Snow”. If it’s dumping with snow (a common occurrence), you can point to the heavens and yell this out! Douzo: (Do-zo) – “Go Ahead”. Lift operators at ski resorts will say this to you once they sweep the chairlift of snow. When you get on the lift, you can respond with “arigato”! Getting around on Japan’s public transport is super easy – especially in the cities. The subway systems might look big and scary, but they are easier to navigate than you think. Tip #1: Use Google Maps or Hyperdia on your phone! This saves you so much time and effort. Get yourself a data sim, download one of these apps, and relax. The public transport maps in Japan can be pretty big, and using an app will save you a lot of time and effort when you need to get from place to place. They’ll give you times, routes, fares, platform numbers and up to date info. Tip #2: Get yourself a public transport card! Instead of having to calculate and purchase a new fare every time you got on public transport, you can just tap your card and go. The two major brands are Pasmo and Suica, and both can be used on public transport across Japan. To get a card, just go to a branded machine at the station, choose the card, fill it up with cash, and then start tapping! Don’t worry if you fill it up with more than you needed, you can use these cards to pay for items at convince stores as well. Tip #3: Plan your day in advance! This might sound obvious, but you’ll probably want to be maximising your time doing activities rather than being on trains all day, so make sure to plan your day as best you can before you leave the hotel. Sometimes the things you want to do are only a stop or two away! Tip #4: Etiquette! Line up for trains and subways – this makes it easy for people to get off, and easy for you to get on. Don’t talk on the phone – it’s considered very rude to speak on the phone, so if you get a call, let them know you’ll have to return their call. Don’t speak loudly – it’s considered very rude to speak loudly on public transport, especially trains. Always give up your seat to the elderly or less mobile. Tip #5: Taxis! When you check in at your hotel, make sure to take a business card with their address. If you do get lost somewhere in Japan, you can take a taxi, show them your hotel’s card and be safely returned to your room without worry. If you’re not sure how to get from resort to resort, or want any more handy hints for getting around, talk to an expert from SkiJapan.com today. Getting in an Onsen for the first time is an awkward mental struggle for just about every guest to Japan. Don’t worry though, because once you get into that steaming, healing water, you’ll forget all about how awkward the naked dash just felt! When you enter the building, check if you need to remove your shoes – if there’s a step up, you probably will have to remove them. Head to the counter or ticket machine to pay the entry fee. If you don’t have a towel with you, it’s usually possible to rent one. It’s often possible to rent either 1 large towel, or a large towel and a small towel. The large towel is to dry yourself after your soak and should be left in the changing area, and the small towel can be taken inside to wash your face or use as a ‘modesty’ towel (don’t put it in the water though!). If you’re in a more traditional resort you may be asked if you have any tattoos, so be prepared to cover them. Once you’ve paid the fee and then head into the gender-specific change rooms. Find a basket or locker to put your clothes into and then it’s time to get naked! If you’re using a locker, take the key with you which is likely to be on an elastic wristband. Inside the next room will be a number of showers with stools to sit on. Find a free shower, sit on the stool and then wash your entire body and hair with the provided soaps. Once you’re all clean, then you can head through the next door where you’ll find the onsen! It’s going to be a cold walk and it’s tempting to run between the wash-room and the onsen, but don’t rush – you don’t want to slip here. Some onsens have multiple baths with indoor and outdoor areas and varying water temperatures, so try to explore all the different options. Don’t worry about feeling awkward when you move between the baths; it’s worth it to experience each option. Most people will soak for about 20 – 45 minutes, but just go at your own pace and enjoy the scenery. When you leave the onsen, it is recommended to give yourself a quick wash in the shower again, just to wash off the natural salts and minerals from the water. After a shower, dry yourself off and put your clothes back on. There’s usually a basket to put your used towels in as well. Many onsens have relaxation areas, massage chairs, vending machines and spaces to lie down and nap. This is the perfect opportunity to just chill out until all your friends are done. 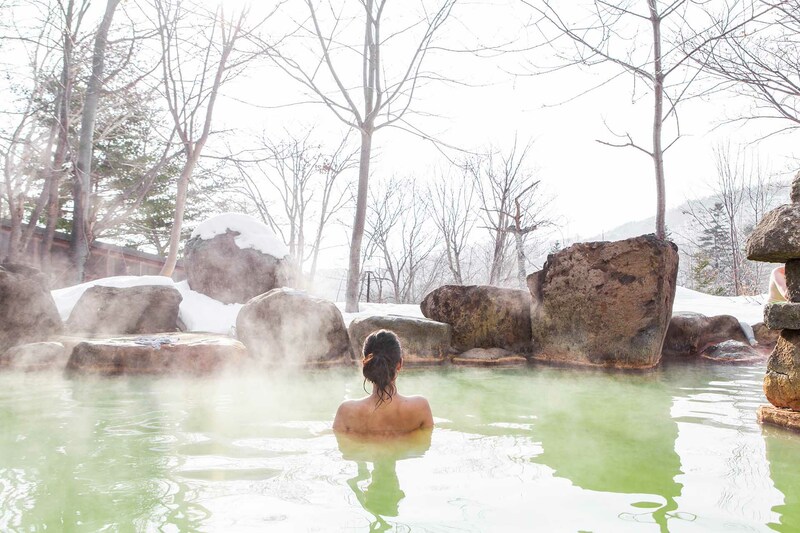 If you’re heading to Niseko, check out Niseko.com’s onsen guide here. So that’s some of our best advice for beginners, but of course, there’s always so much more to talk about! Contact our team of experts for everything to know about skiing in Japan.